Selected Rings, Pendants and Talismans made available to Gemstoneuniverse.com patrons in January 2011. Comments Basra pearls are the most fine and most rare beauties of nature! This natural Pearl has the versatility that comes closest in appearance to a Basra Pearl! 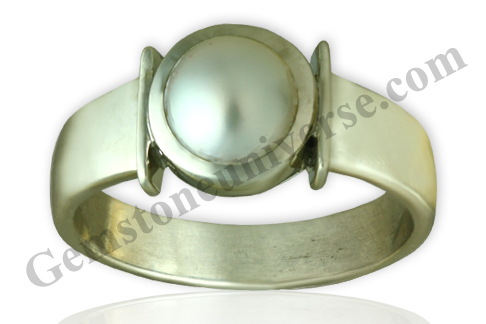 An Australian Sea natural pearl with calm and serene beatific moon qualities that will give the best of Moon’s gifts!